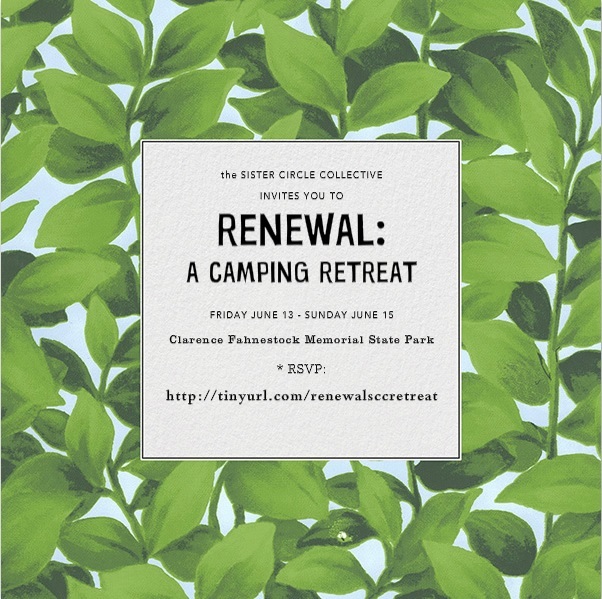 Join the Sister Circle Collective on our first-ever transformative spring camping retreat! As the this spring season develops, we want to open up to the elements and build a collective of souls in tune with our surroundings. The spring season is our time to take action, to blossom but we must also take the time to reflect. This camping retreat is meant to be a space of organizing, to build a community, but at the same time finding internal peace and happiness. Of course all of these things are a process, but we sisters believe we can accompany each other in that process. When: Friday June 13th – Sunday June 15th. * Group activities: hiking, arts & crafts, empathy sessions, and meditation. We accept multiple forms of payment, also installments can be arranged. Please message us with any questions of concerns.